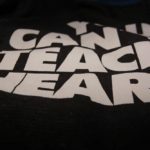 [amazon_link asins=’B01EKFMUQM’ template=’ProductAdRight’ store=’attacktheba01-20′ marketplace=’US’ link_id=’c21bffd4-e475-11e6-872c-f9454aa4f261′]Over the last year I have had the pleasure of getting to know the Do or Die team, those who read the blog know of how they have helped me move this blog forward and I am forever grateful for all the time and attention they have given me. 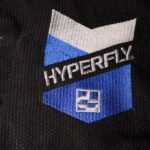 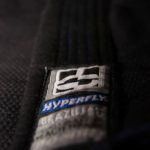 Over the last year as a Hyperfly Ambassador I have also had the pleasure of wearing a lot of their Jiu-Jitsu gear, from apparel, rashguards and Gis. 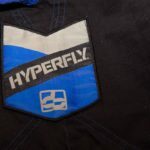 Before Christmas they sent me one of the new version of their Premium Hyperfly Gi, which i have gladly reviewed and I will say this without Bias that this could be your new favourite gi, because it certainly is mine. 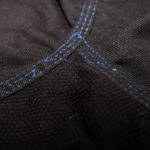 So the first thing Do or Die now provide for their new Premium Gi’s are H and L sizes. 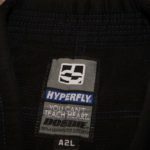 Saying that I asked to review an A2L, this is because on the version 1 A3’s that I have I have found that the body and leg width felt too wide for my liking, my vital statistics are 93kg and 6ft 1 and this Gi fits perfectly on me. 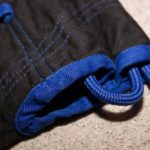 The gi has been used for the last few weeks and washed around twice a week at 30 to 40 degrees and I have not experienced any shrinkage, so if you were to buy one of these gi’s I would recommend sizing down to a long version, just to make sure that it will be IBJJF legal on the legs and arms. 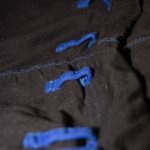 When you first put the gi on the first thing you notice is how light and soft it is. 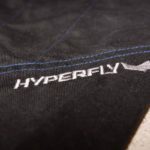 I weighed it up against other gi’s I own, including a Tatami Estilo v4 and as both are on the premium end of the scale, if you are looking to shave a couple of ounces off at the weigh in the the hyperfly is way to go. 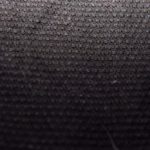 [amazon_link asins=’B01N3XOZFD’ template=’ProductAdRight’ store=’attacktheba01-20′ marketplace=’US’ link_id=’ce9c87cc-e475-11e6-8963-25dd506741b3′]When you get your new gi, the packaging is embossed with their trademark slogan “YOU CAN’T TEACH HEART”. 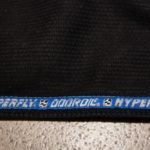 Once opened you received you new gi in one of their new gi bags and a load of Do or Die themed logos. 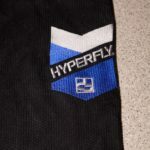 The new v2 gi is all about the details, from the use of silver thread on the hyperfly emblem, to the added hyperfly emblems added to the gi skirt and pants. 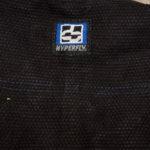 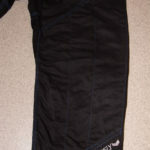 The pants have changed slightly from a lycra gusset now to a newly re-inforced gi-material gusset. 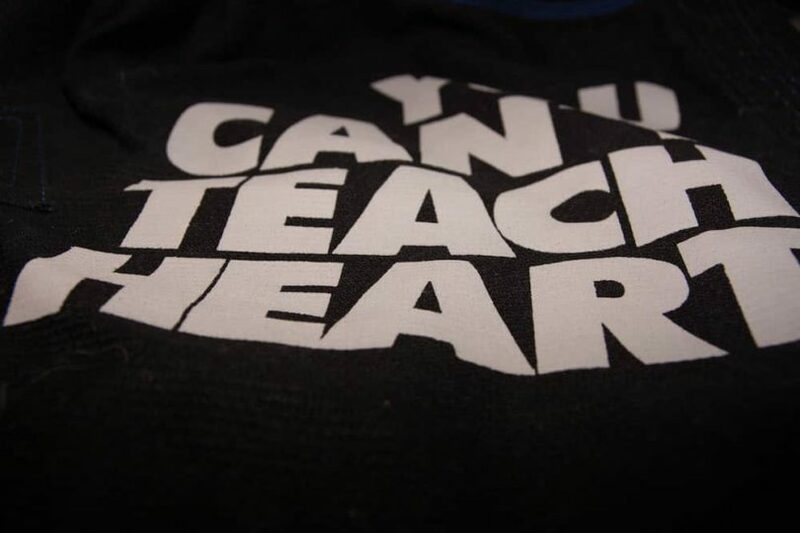 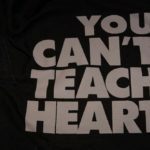 One thing I have noticed is that the team at Do Or Die have kept their “YOU CAN’T TEACH HEART” slogan printed on the inside of the jacket, however there is something different about it. 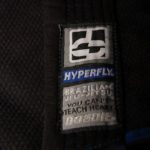 One the v1 gi’s the slogan is ink dyed into the gi material and I have noticed it slightly fade over months of use However, the new v2 slogan has what feels to be a new rubberised printing on the slogan on the inside of the jacket, something that the company have confirmed, though I did not find how they exactly did it. 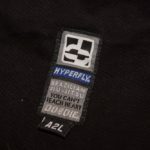 Whatever it is, it had made the logo pop on the black gi and I would love to see how it could be used as normal patching because this could be a new way of patching that would stand the test of time. 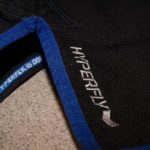 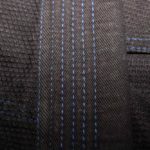 While on the surface the v1 and the v2 aren’t dramatically different, but under the hood is where the differences are, the meticulous detailing of the v2 gi is where this shines, from the new addition of the logos to the hyperfly branded seam tape, get ready for this gi to become number one in your rotation.